Places to see at Bangriposhi: Surrounded by numerous forest tracts and hills like Vidyabhandar, Ardheshwar, Patharkushi, Buraburi, Bangriposhi is a storehouse of flora and fauna. The River Budibalam meandering through Bangriposhi is the major attraction here. 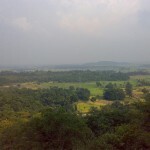 Nearby attractions of Bangriposhi: A couple of kilometers from Bangriposhi is Thakurani Hill. You can reach the summit of the hill to see the temple of Goddess Bangriposi. Crossing this mountain, you can visit the small marketplace of the tribal people. 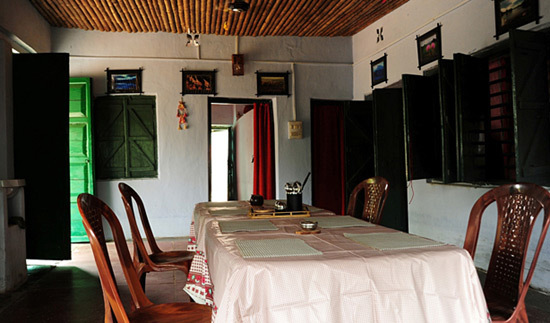 You can travel 20 km from Bangriposi to Kuliyan village, which is renowned for Dokra artwork. 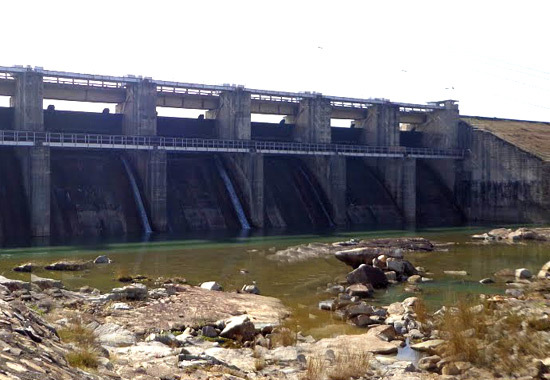 You can also take a short trip of 25 kms to the Bankabal Lake and its adjacent dam. A visit to the nearby Duarsini temple and the Nilamadhaba temple should also be in your itinerary. 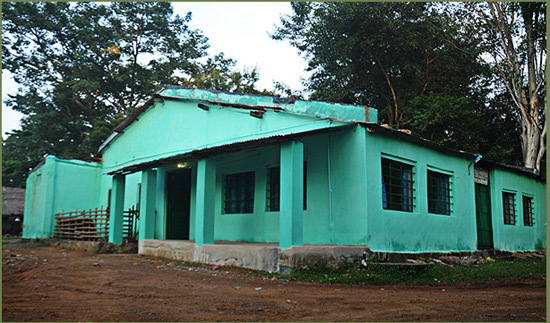 Another major attraction near Bangriposhi is the Simlipal National Forest, just 60 kms. away. 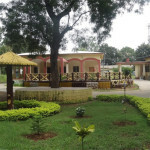 Things to do at Bangriposhi: Apart from visiting the tourist spots, you can also take a look at the lifestyle of the tribal people of this area who are mainly Santhal, Munda, Bhil and Lodha. However, Bangriposi is a box of surprises for photographers, bird watchers and trekkers. If you are an avid trekker, then you would love to trek along the Buribalam River’s bank and scale the hills and forests nearby. The boulders jutting out of the river’s rockbeds, the terraced Paddy fields on the hill slopes, the village life and the unknown birds chirping all around the trees are few reasons to make your trip to Bangriposhi. How to reach Bangriposhi: You can take the Dhauli Express from Howrah and covering a journey a four hours reach Balasore. From there you can hire a car and travel 2 hrs 30 minutes to Bangriposi. You can reserve a car for a couple of days to reach here and travel various spots nearby. 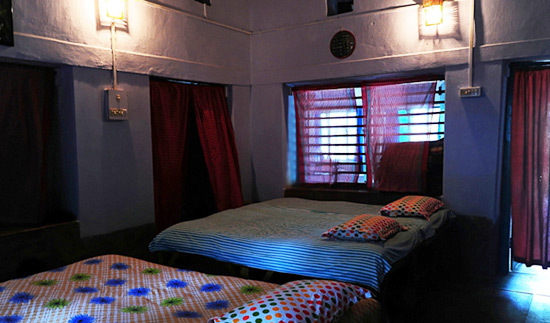 Direct overnight buses connect Kolkata to Baripada. From Baripada, Bangriposi is just 32 kms. NH6 connects Bangriposi to Kolkata. It is just 230 kms from Kolkata. Best time to visit Bangriposhi: Avoid the summer time, anytime in the rest of the year is ideal for visiting Bangriposhi. 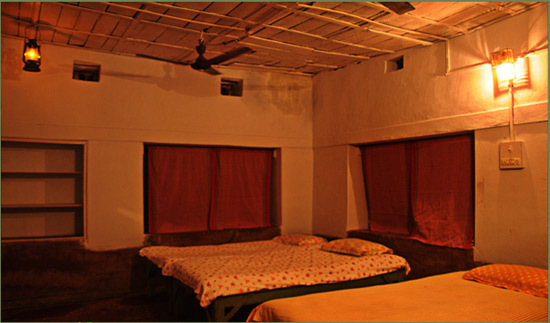 Eco Resort: A no-frills eco cottage located amidst sylvan surroundings with three bedrooms and attached western bathrooms can accommodate guests. There are no air-conditioners or televisions in the cottage but clean bathrooms, clean bed sheets and very cozy and clean rooms with patios blends this cottage to its environment. 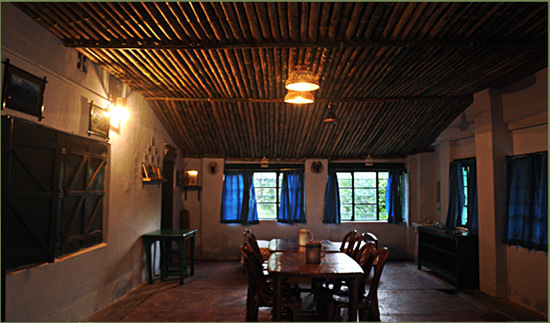 Delicious home cooked local meals are served by the caretaker and the cook. 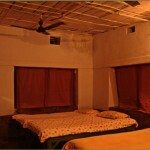 Bangriposi Resort: The resort in Bangriposhi is equipped with AC and non AC Double Bed rooms. Decked with lawns, landscaped gardens and gazebos, the resort arranges for local sightseeing trips, and pick-up and drop from any nearby station. 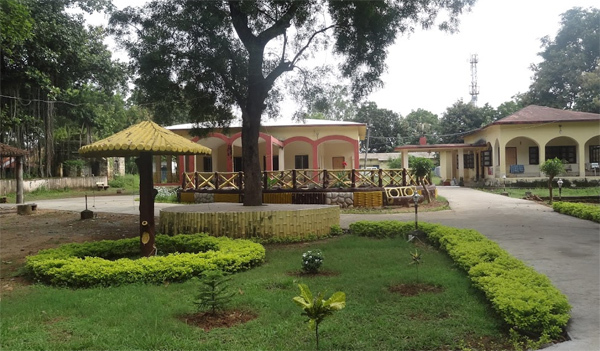 The resort also has 15-bed and 30-bed dormitories for larger school/college groups. Activities like Campfire arrangements are also arranged at the resort. Food is served in the Dining Hall of the resort.